Blending jazz, rock and reggae, the Nikhil Korula Band will bring its vibrant sound and dance rhythms to RT’s Longboard Grill in San Diego on Saturday, Sept. 29, 2012 at 10 p.m. The sextet will perform original compositions from their latest CD, “Music of the New Day” (available on iTunes), as well as other classic hits showcasing their diverse musical influences. Admission is $10. RT’s Longboard Grill is located at 1466 Garnet Ave., San Diego 92109. Earning an ever-increasing fan following, founder and vocalist Korula and his band have played to sell-out crowds at such iconic venues as the House of Blues, the Apollo Theater, the Viper Room and The Roxy, as well as Bonnaroo and other major festivals. Known for their improvisation, their concerts often push the boundaries of live performance. Classically trained in opera and voice from the age of 5, frontman Korula has shared the stage with everyone from opera giant Placido Domingo to pop star Barry Manilow, the late Luther Vandross, and other chart-toppers such as John Mayer, Jason Mraz, Dave Matthews Band, Ben Harper, Los Lonely Boys, Erykah Badu, The Roots and more. 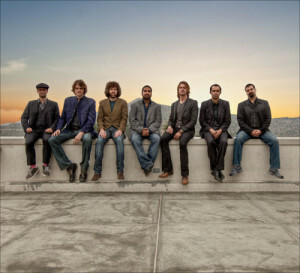 The group’s 2012 album, “Music of the New Day,” features 13 tracks showcasing Korula’s extensive songwriting capabilities and underscores the group’s message of love, peace and promise. Currently, the group is working on a soon-to-be-released EP featuring Jeff Coffin and Butch Taylor of Dave Matthews Band. For tickets and more information, visit www.longboardgrill.com or call (858) 270-4030. For more information on the Nikhil Korula Band, visit www.nkband.com, www.facebook.com/nikhilkorulaband or www.twitter.com/NKBand. In addition to his “Peeples Place at KHTS” blog, Stephen K. Peeples is a writer/reporter for KHTS News (www.hometownstation.com) and SCVNews.com, and host, writer and co-producer of the weekly “House Blend” music and interview television show on SCVTV, community television for the Santa Clarita Valley (www.scvhouseblend.com). A former SCV music and entertainment columnist for The Signal (2004-2011) and drummer with SCV jazz group RainTree (www.raintreejazz.com, 2010-2011), Peeples is a Grammy-nominated record producer (“Monterey International Pop Festival,” MIPF/Rhino, 1992), an award-winning radio producer (“The Lost Lennon Tapes,” Westwood One, 1988-1990) and an award-winning online editor (The Signal website, 2007-2011). For more information, email skp@stephenkpeeples.com or visit www.stephenkpeeples.com.